The Kahakuloa Half Marathon and Relays, helps benefit the renovation of the Kahakuloa Congregational Church. 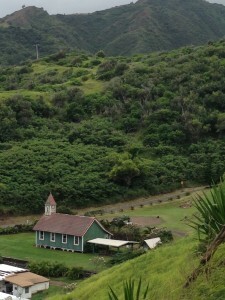 One of the oldest churches on Maui. The half marathon starts at Fleming Beach in Kapalua and finishes at the beautiful Hawaiian village of Kahakuloa. With rolling hills throughout the course and some of the best views on the island, this is truly a great event. Some have compared it to the Big Sur Half Marathon with incredible views of the ocean and more. This race has been on Runners World with regards to scenic marathons in the USA. For more information, look under events on this site.